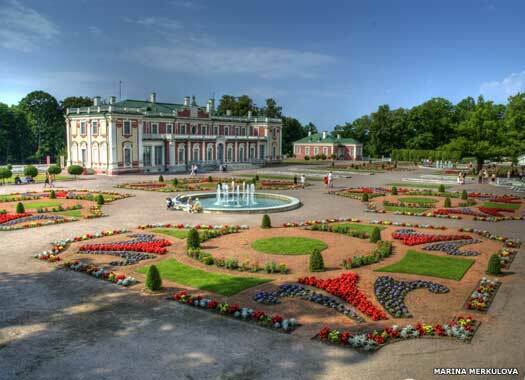 Kadriorg Palace stands within its own grounds on the northern side of Weizenbergi street in Kadrioru park. 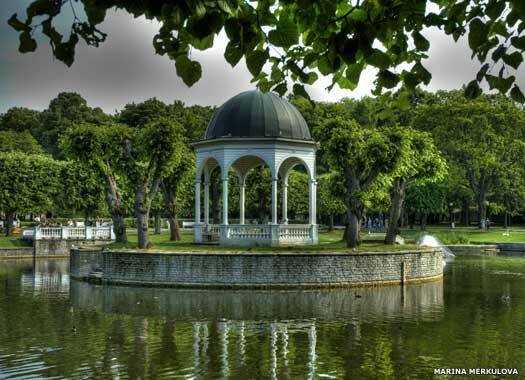 The district of Kadriorg lies to the immediate east of Tallinn. The Russian empire captured Estonia as a prize from Sweden in 1710, during the Great Northern War. 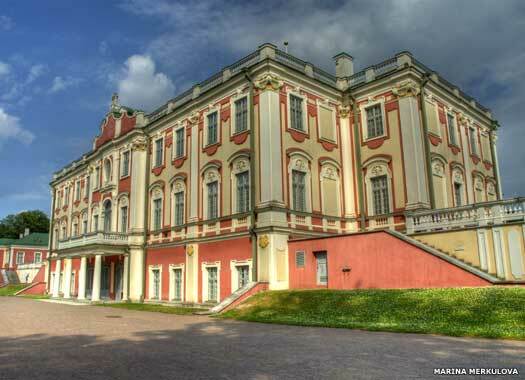 The palace was built under the orders of the Russian Czar Peter I (1682-1725) for Empress Catherine, for use as a resplendent summer residence. 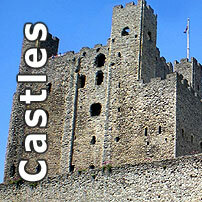 Construction began in 1718 under Niccolo Michetti. The czar, Peter the Great, took a keen interest in his navy, and considered the port of Tallinn to be one of the most suitable places, next to Paldiski, further along the coast, for a military port. When setting up the port, the czar found his summer residence two kilometres to the east of Tallinn to be too small. 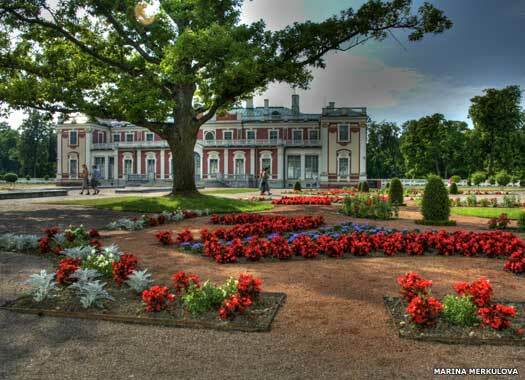 He decided on a palace much closer to the port, and the new residence was named Katharinenthal (Catherine's Valley), after Empress Catherine (Kadriorg, in Estonian). 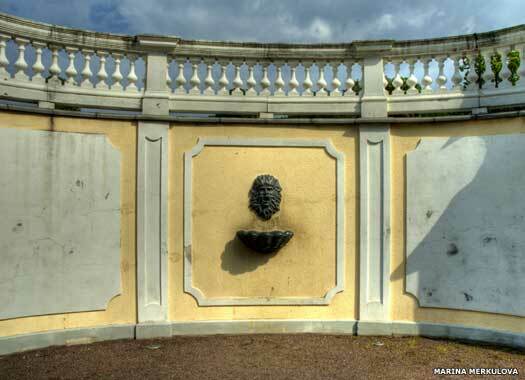 The palace was built in the style of Italian villas, consisting of a main building and two annexes. The roof was added in 1719, and work on the park and palace was continued by Mikhail Zemtsov from 1721, but Peter the Great died before it was completed. One of its main features is the well-preserved two-storey main hall, with beautiful Baroque architecture and lavish stucco. Besides Russian and Italian artists, masters from Stockholm, Riga and Tallinn also worked upon it. The palace also contains fireplaces with volutes, garlands, and busts, with monograms situated above them which were designed as cartouches, and rimmed with sculptures depicting various geniuses. The vestibule and some other rooms in the main building, as well as some of the stoves, have retained their eighteenth century appearance. From 1921 the Estonian Museum in Tallinn was situated in the palace. In 1928 this was reorganised into the Art Museum of Estonia. From 1929 it served as the residence of the Estonian head of state (from 1938 this was the president). The building was renovated in 1933-1934 and a banqueting hall designed by Aleksander Vladovsky was added to the back of the palace. Some rooms were refurnished in the Estonian national romantic style based on designs by Olev Siinmaa. From 1946-1991 the palace housed the main building of the Art Museum of Estonia, by which time it was in fairly poor shape. The palace was thoroughly renovated between 1991-2000, which restored the exterior to something close to its original form, and a number of interior rooms were recovered from previous 'improvements'. 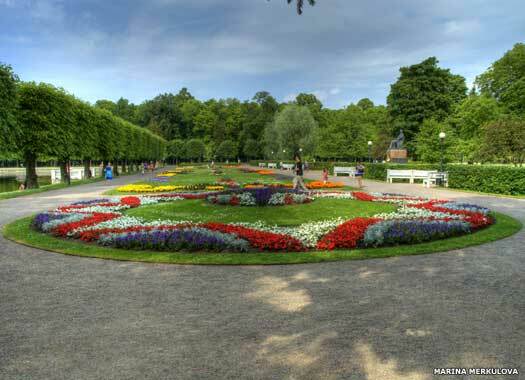 Outside, the Baroque park was also restored. Today the palace is no longer the residence of the Estonian president. That lies behind the palace, which serves again as a museum, housing the Foreign Art Museum division of the Art Museum of Estonia. All photos on this page contributed by Marina Merkulova.